Not long ago Australia’s housing boom was in full swing. Investors were betting on rising property values, which rose by 13 percent in Sydney and 15 percent in Melbourne in the year to mid-2017. Now the withdrawal of overseas buyers and prudential restrictions on loose lending to local investors have revealed how hollow the boom was. Our analysis for the NSW Community Housing Industry Association (CHIA NSW) and Homelessness NSW, building on recent AHURI research, shows that the market cannot meet around 12 percent of all households’ needs. Only one-third of those are housed outside the market in public or community housing. The rest are in overcrowded homes, rental stress or even homeless. To cover the backlog of unmet need and future need, our new research commissioned by CHIA NSW and Homelessness NSW predicts that, over the next 20 years, two in ten new homes would need to be for social housing and a further one in ten for affordable housing. 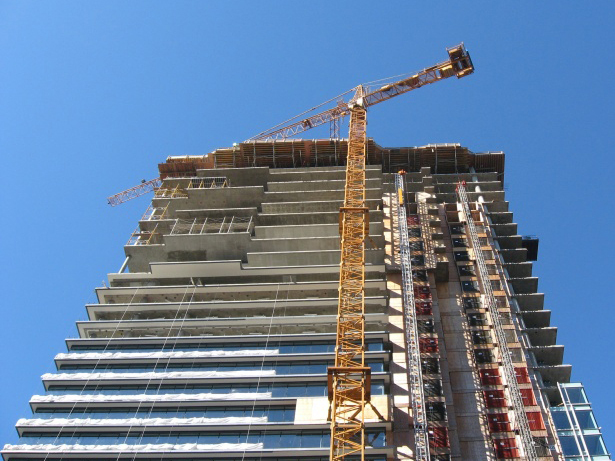 Just shifting this third of construction to not-for-profit housing providers, either the community sector or government, would reduce delivery costs – by losing the 20 percent developer markup at a stroke. Read more: England expects 40 percent of new housing developments will be affordable, why can't Australia?